5 Elements Yoga uses the principles of the Indian and Japanese Yoga, as well as those from the Chinese Tao Yin. The movements are divided according to the five elements. Each of these elements represents a certain natural quality of life , which we also find in the functioning of the body. The five elements are translated into the following movements: torsion , flexion , extension , compression and structure. Where the balance between strength and flexibility, displays the Yin-Yang balance. 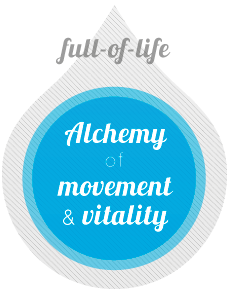 A properly functioning body has a balance of these five elements/movements and energetic abundance through their interaction (alchemy). The meridian system gets its energy from the elements and can therefore be seen as a sign of that energy balance and abundance. This unique method teaches you to put your energy into balance and also has a healing effect on the organs, spine and body. You will have more awareness, vitality and strength to get into your body and thus consciously be able to tackle weaknesses and dysfunctions in the body and mind. You will be surprised at what life potential is released from your body through giving it the proper attention.